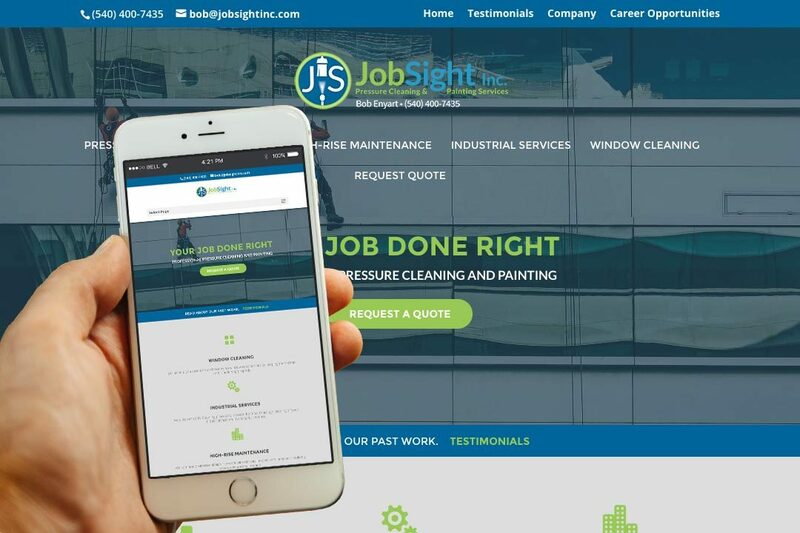 JobSight Inc. • IX Publishing, Inc.
JobSight Inc. provides pressure cleaning and painting services in Roanoke, VA. They offer a range of services, from industrial (such as high-rise building maintenance) to residential (including painting and power washing). Bob Enyart, the owner, employs team members for their initiative and good character as much as ability. JobSight Inc. has twice received the Platinum Award (first place) by popular vote in the Roanoke Valley competition, and remains committed to high standards of professionalism.